When the San Jose Sharks acquired Torres on April at the 2013 trade deadline, rumors circled that season ticket holders were selling their coveted seats in protest at “that guy who pummeled Milan Michalek” playing for San Jose. Six weeks later, Torres was being suspended for a hit on LA Kings’ Jarret Stoll in the second round of the Stanley Cup Playoffs, and Sharks fans were making “Free Raffi” shirts in protest at the aggressive left wing being taken off the ice at such a crucial point in the post season. Yes, the aggressive forward knows how to make the most out of a month-and-a-half stint. This could be interesting in the weeks to come, being that he will be off the ice recovering his injured right knee. Torres wasn’t available to speak with the media Friday night following a mid-ice collision with Anaheim Duck Emerson Etem. The hit came during the second period of Friday night’s exhibition game and stopped play time as both players battled to get back to their feet. Neither player returned for the rest of the game; Etem was seen on Anaheim’s bench during the third period, while Torres didn’t return. The winger was spotted leaving the Sharks locker room following the game with his right knee wrapped; he walked with only a slight limp, giving hope that maybe the he hadn’t been banged up too bad. 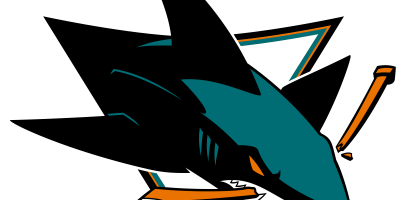 But Sharks GM Doug Wilson announced Monday that Torres had injured his ACL. 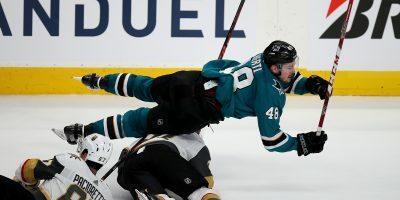 The extent of the injury has yet to be released, leaving the San Jose with an uncertain amount of time that they will be without the 31-year-old enforcer on the ice. Even though a definite timetable has not been given, Torres is estimated to be shelved for at least the first month of the season. On one hand, his absence could give one of the young Sharks prospects a chance to step in and contribute. Freddie Hamilton is certainly a candidate for the Sharks front line after the impressive showing he had on Saturday night. Hamilton scored San Jose’s first power play goal of the season, which was also his own first goal at the NHL level. But it’s No. 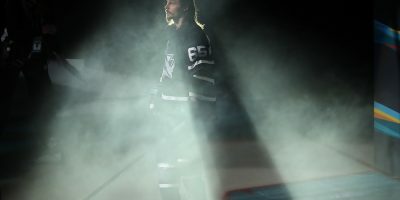 13’s presence, the edge that he brings to the Sharks, that will be missed on the ice. 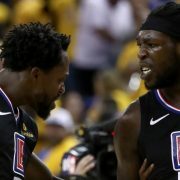 Bay Area sports fans in general learned all too well this season what happens when a major personality in your clubhouse gets sidelined and that the level of play and vigor can subsequently suffer. The Sharks’ identity morphed when Torres arrived as his aggressive style rubbed off on the rest of the team. 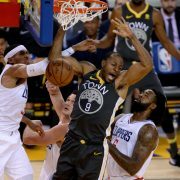 When the hit on Stoll developed into a series-long suspension, San Jose visibly lost some of its oomph as they were booted from the playoffs after falling to the Kings in seven games. This isn’t to say that the likes of Logan Couture and company aren’t capable of winning games without Torres there., though his contributions will most certainly be missed. 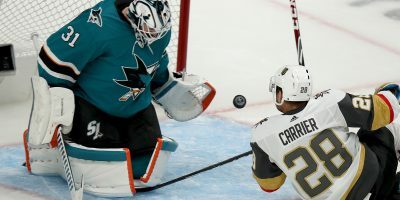 Torres registered a modest six points (two goals, four assists) during his short tenure in teal last season, including a game-winning shootout goal that was easily the turning point in Sharks’ fans’ opinion of the controversial forward. Then, there is always that worst-case scenario: What if Torres isn’t healed enough to play in six weeks? Should his knee require surgery, his recovery time could stretch over four months. A lot can happen in six weeks. Let’s hope Raffi Torres can make a speedy recovery in that time, and that his absence doesn’t make those first six weeks of the 2013-2014 hockey season difficult for the Sharks.